If there's one word to describe Namibia, it's 'cool'. Except in the height of summer when it can regularly reach temperatures over 40°C. So why so cool? 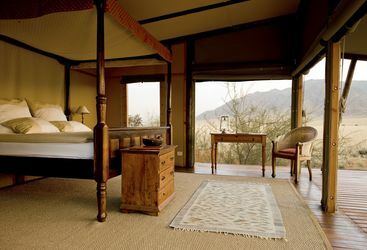 Because Namibia is one of the most sophisticated, individual and downright original luxury holiday destinations on Earth. 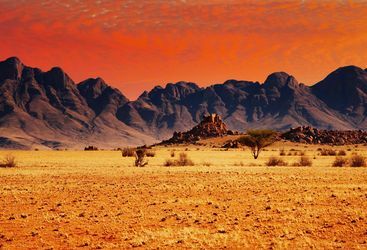 We at Original Travel have travelled the length and breadth of Namibia and think it's just a brilliant holiday destination; but first, some context - wedged between the Kalahari and Namib deserts, Namibia is a country of contrasting landscapes. 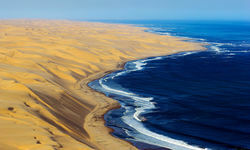 The Namib - the oldest desert on Earth - runs the length of the country's Atlantic coast and is home to the monumental dunes of Sossusvlei and to the desolate reaches of the Skeleton Coast. The majestic Fish River Canyon snakes through the south of the country, while the north has superb game viewing in the Etosha National Park and the lush vegetation of the Caprivi Strip. In between are rugged mountains, endless plains and an awe-inspiring sense of space. 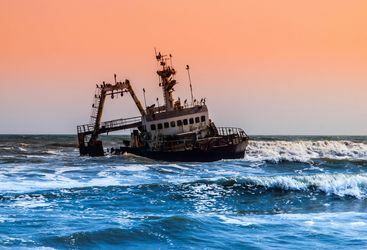 Littered with the bleached rib-cages of whales and the rusting hulks of stranded ships, the aptly named Skeleton Coast is wilderness in the truest sense. Most of this desolate but hauntingly beautiful region is only accessible on a fly-in safari by light aircraft. 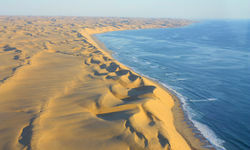 From remote camps, Land Rovers, guided walks and low-level flights are then used to explore the desert's various points of interest, from canyons, salt pans, dune belts and lichen fields to shipwreck sites, ancient rock art, strange 'roaring dunes' and the clay 'castles' of the Hoarusib River. 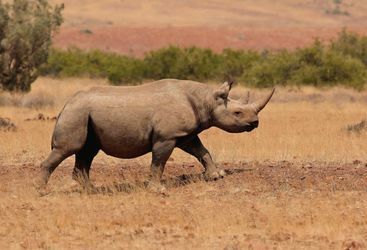 Safaris on the Skeleton Coast are primarily about experiencing the stunning physical beauty and extraordinary geographical diversity of the landscapes rather than game viewing. And yet (to get all David Attenborough for a moment) even in this seemingly inhospitable environment, life manages to find a foothold. 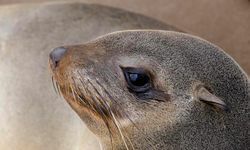 Seal colonies cling to the shoreline, patrolled by scavenging jackals, and rare, desert-adapted elephants inhabit the dried-up riverbeds. 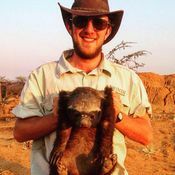 Equally fascinating are plants such as lithops, known as 'flowering stones', and the villages of the local Himba tribe - some of the last nomadic people in Africa. 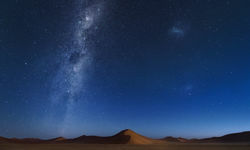 Heading inland, in a country famed for its spectacular scenery the ancient Namib Desert, from which Namibia takes its name, is undoubtedly the star attraction. This 80 million-year-old wilderness - the oldest desert in the world - contains unique flora and fauna, but is above all a visual paradise. 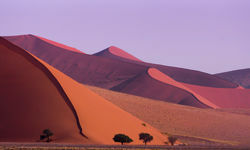 The giant red dunes of Sossusvlei, framed against a blue sky, are perhaps the most impressive sight of all - especially at sunrise or sunset, when the colours are at their most intense. On the rare occasions when the vlei fills with water, the resulting turquoise lake makes the view from the top of one of the 300-metre-tall dunes even more surreal. 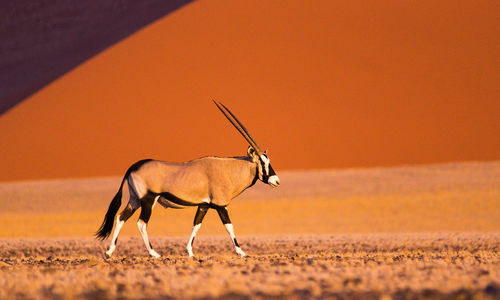 Not far from Sossusvlei lie the broad, open expanses of the NamibRand Nature Reserve. 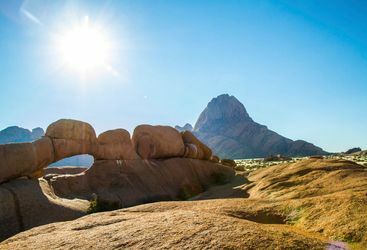 Virtually all facets of the Namib are represented here, from mountains to dune belts and grassy plains dotted with granite kopjes. This is the perfect place to unwind for a few days, experience the peace, space and grandeur of the desert, and discover the remarkable adaptations of interesting plants and creatures - from the !nara melon (the '!' 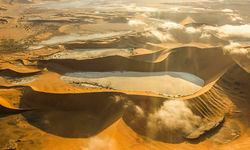 indicates a click in the Nama language) to the fog-harvesting tok-tokkie beetle and the graceful oryx - all surrounded by some of the most breathtaking scenery in Namibia, if not the whole of Africa. 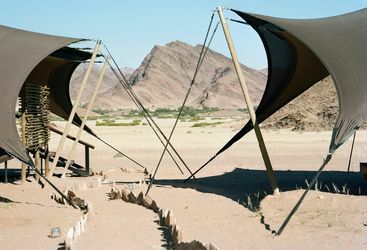 That's not all - landscape safari holidays are all well and good, but Namibia has the big beasts as well, namely in Etosha and Damaraland. 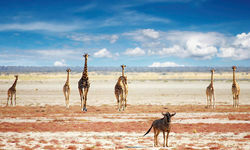 Etosha National Park may be (relatively) flat, but its low dolomite hills, mopane woodland and large salt pans, particularly in the 30,000 hectare Ongava Game Reserve, have healthy populations of Lion, Leopard, Cheetah, spotted and brown Hyena, with a smattering of Black and white rhino. Meanwhile Damaraland has extraordinary scenery consisting of huge boulders that wouldn't look out of place on The Flintstones with no fences for mile upon mile and plenty of Oryx, Springbok, Ostrich, Kudu, Giraffe and even Black Rhino (in the west) to spot. My highlight: The Skeleton Coast felt like falling off the edge of the world: desert and ocean simply collide head-on, and wraith-like spectres punctuate the landscape at alarmingly regular intervals. A no expense spared flying safari (from 10 days to two weeks) could cost from £10,000 per person - but a self-drive Namibia safari could cost a more affordable £3,000 per person, including international flights. 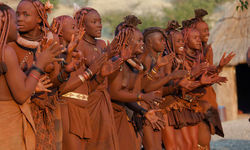 Our thanks for organising such a memorable and splendid trip to Namibia, great trip, lots of pictures and many memories! What an amazing 3 weeks! Thank you so much for everything that you did to make our honeymoon so special. We are gutted to be back and would like to still be out there! But again, thank you, it was incredibly special. Flying straight to Wolwedans Private Camp without a night wasted in a city. The flight from the international airport to Wolwedans totally worth the gamble. The private camp with its own watering hole. The flying safari, would do that again in a flash. Was sceptical about the cost which is huge but would pay again and more! That experience was ridiculously good fun. 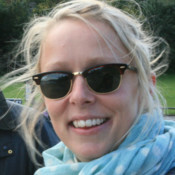 Jack's Camp with super sande. The dream. A whole day in a boat in the delta. We were able to do this as we stayed for 4 nights. Private guides were a dream.